Office Video Conferencing has become increasing popular over the past few years. Increasing travel costs, improvements in video conferencing technology, and the realization that time IS money are key drivers. In fact, reducing operational expenses was the key reason cited by respondents in a global survey. A less obvious reason for the growth: collaboration is no longer just a politically-correct watchword – it’s the way the world works. Multimedia tables and video conference-friendly office furniture is no longer just “nice to have;” it’s a necessity in 2016. 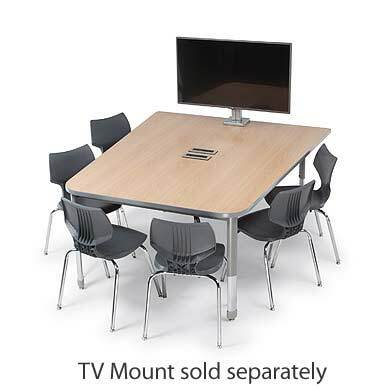 Video Conferencing Furniture: Built to Work! Video conferencing is so budget-friendly, even short, informal meetings are frequently held “live.” While the trend is growing particularly fast in health care fields, it’s also gaining ground quickly in education. It’s good news that technology has improved even as computer hardware costs continue to drop. If your office furniture is lagging behind the trend, don’t worry – a new technology-friendly table that seats up to 5 can be had for under $400. While even organizations with very few IT resources can typically support basic video conferencing, and teleconferencing is quite familiar to most millennial workers, setting a few ground rules or protocols for video conferencing in your workplace is a good idea. Smart organizations set clear expectations regarding etiquette (introductions, in particular) and dress for professional, virtual meetings. They also take care that other details – from the room’s lighting to microphones and headsets – work effectively for all participants. 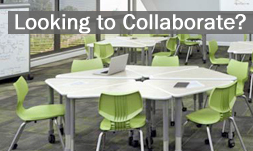 If you’re having trouble finding the right office furniture to accommodate you video conferencing schedule, contact us. Whether your selection criteria are primarily concerned with color, size, price, or other features, our consultants can help you find the furniture that best suits your needs (and your budget), and make sure you’ll have everything you need for hosting your next video conference.